Just 35 miles from Denver (as the crow flies… it’s 51 miles by road), Mount Evans’ peak of 14,271 feet dominates the western view from the great plains. Along with Pikes Peak, Longs Peak, and Mount Bierstadt, Mount Evans is one of four peaks over 14,000 feet in the Colorado Front Range. Its towering summit is 9,000 feet above Denver and can be seen 65 miles south in Castle Rock, 95 miles north from Fort Collins, and 105 miles from the east from the city of Limon. Since the late 1800’s Mount Evans has been a staple of Denver’s tourism. Completed in 1930 by the Denver Mountain Parks System, the Mount Evans Scenic Byway was but to take visitors up to the top of the mountain. This scenic road is only open in the summer and is the highest paved road in America. With the addition of the road to Pikes Peak, the byway is one of two roads that give access to a 14,000 foot peak with the ease of riding a vehicle all the way to the summit. But the Byway is no easy drive. With narrow roads with steep cliffs to the side the byway is a winding 27.4 miles that gains 6,915 feet of elevation. You’ll pass AVA’s Idaho Springs outpost along your way to Mount Evans, so be sure to make some time for an adventure while you’re there. Pair your morning zipline tour with an afternoon summit of Mount Evans and you and your family will be set up for a day full of action. Mount Evans gives many people the chance to get a view from 14,000 feet that would not be able to see those sight otherwise because most peaks over 14,000 feet would require long difficult hikes to the summit. Though this mountain is relatively easy to get to, visitors should not forget that this peak will still have extreme alpine conditions. Proper outerwear is needed even for a quick stop at the summit, with the average temperature being 18 degrees and below freezing temperatures occurring at any time of the year. At that altitude there is also a possibility of high winds, so be ready to bundle up. Be sure to drink plenty of water and if you can spend some time at in Denver or Idaho Spring to get adjusted to the elevation. Altitude sickness is common for those who have not taken proper precautions. 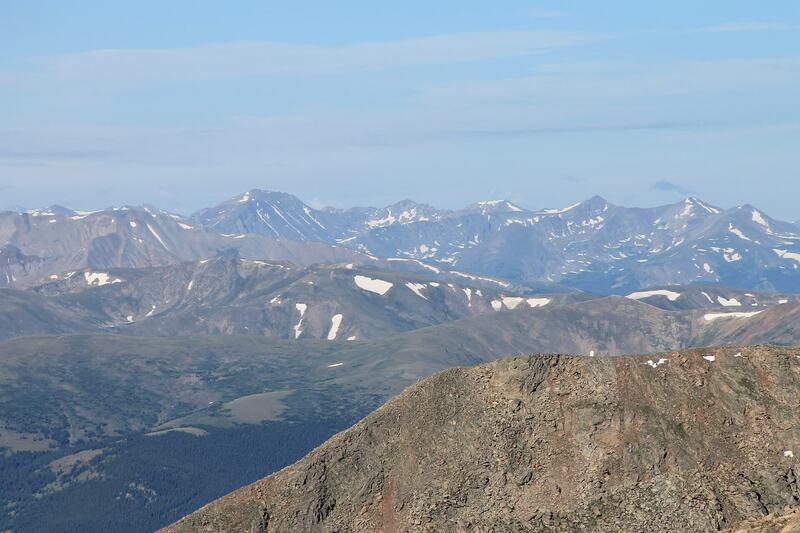 If you find yourself in the Denver area this summer, plan a trip to the summit of Mount Evans. The 360 views at the top give you every glimpse of what Colorado has to offer.